How can we understand the PA’s initiative to declare statehood at the UN? How should US and the international community respond? Will it advance the prospects for justice and peace in Israel/Palestine? 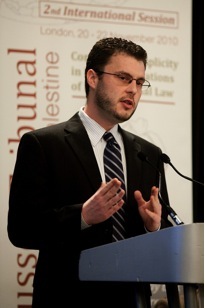 Ruebner is a former Analyst in Middle East Affairs at Congressional Research Service, a federal government agency providing Members of Congress with policy analysis. His analysis and commentary on US policy toward the Middle East appear frequently in media such as NBC, ABC Nightline, CSPAN, Al Jazeera, USA Today, Los Angeles Times, Huffington Post, Middle East Report, and more. The US Campaign to End the Israeli Occupation is a national coalition of nearly 350 organizations working to end US support for Israel’s illegal 43-year military occupation of the Palestinian West Bank, East Jerusalem, and Gaza Strip, and to change U.S. policy toward Israel/ Palestine to support human rights, international law, and equality. This entry was posted in Current Events, Israel, Jewish Fast for Gaza, Palestine, Peace Process, Politics, UN on September 19, 2011 by Rabbi Brant Rosen. The call was very powerful and informative, Rachel. And coming after Obama’s speech at the UN, very timely and helpful. We will be posting the audio on our website soon. Stay tuned!